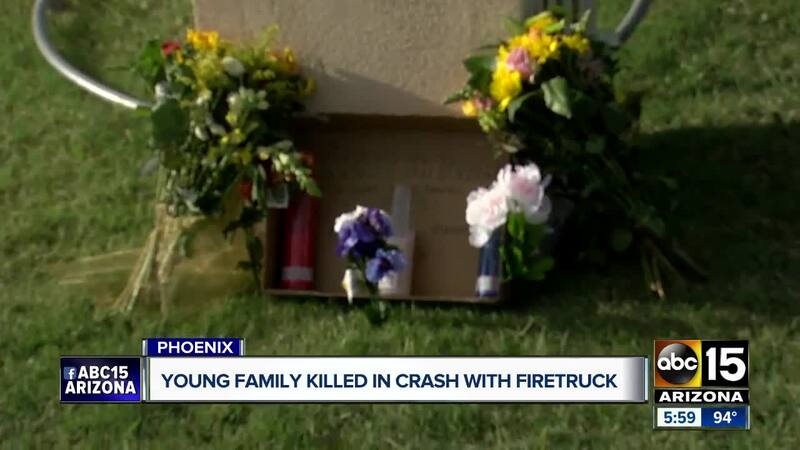 A memorial was started at the crash site for the family that was killed after getting into a crash with a Phoenix firetruck on Sunday morning. 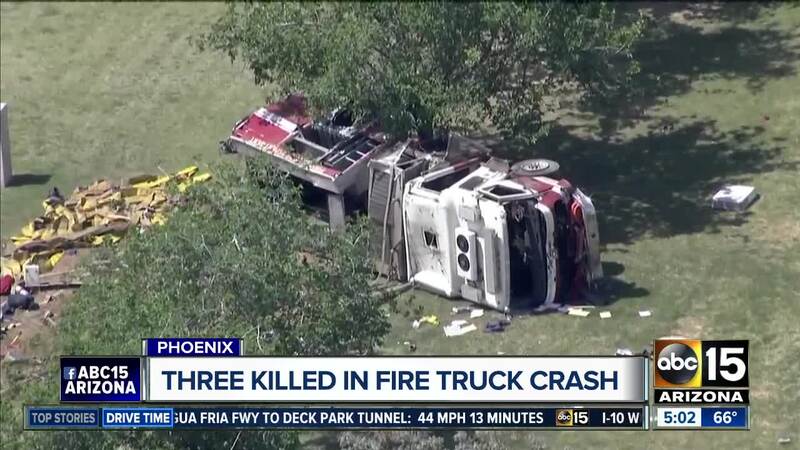 PHOENIX — Three people are dead and three firefighters were hurt after a crash involving a Phoenix fire truck Sunday morning. The crash occurred around 9:15 a.m. at 29th Avenue and Bethany Home Road. 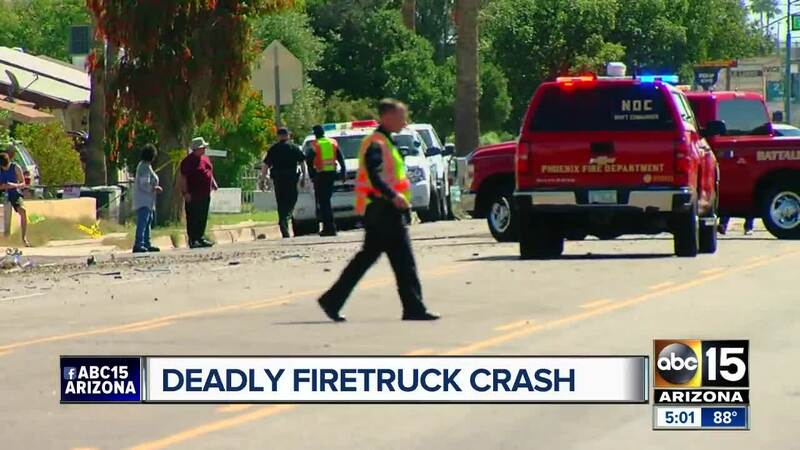 Phoenix police said two adults and a 3-month-old child were killed in the crash between a Phoenix Fire Department truck and a pickup truck. Police say the pickup driver, 20-year-old Kenneth Collins, was pronounced dead at the scene. His 3-month old son, also named Kenneth, and the baby's mother, 19-year-old Dariana Serrano, were both pronounced dead at a hospital. Officials originally said the child was six months old. The child was restrained in a car seat at the time of the crash. "My daughter, she was amazing, she was a happy mother, she was good to her baby and I just can't believe what's happened to her," said Dariana's mother, Mercy Arangure. 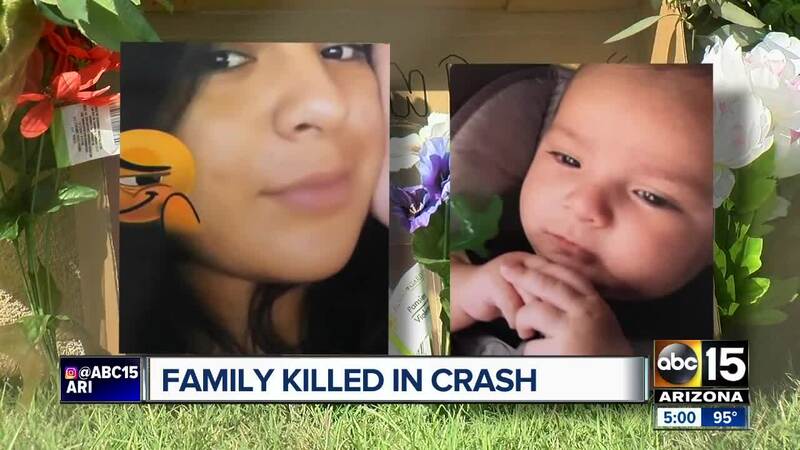 "She was funny, she was a good mother, like she said she was a good daughter, good sister, good friend," said Dariana's aunt, Daniella Arangure. Three firefighters were taken to the hospital in critical condition, police confirmed. Fire officials released an update Monday afternoon, saying two of the firefighters have been released from the hospital and the other firefighter is staying for observation. 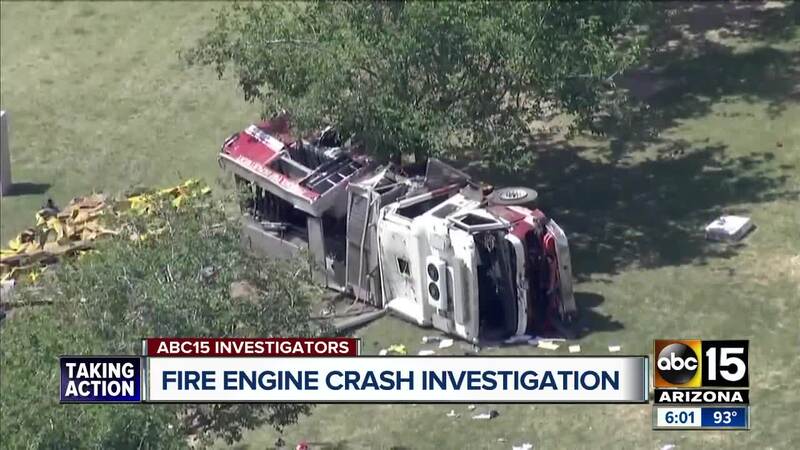 Bryan Rood was getting ready to open the doors for Sunday services at Sovereign Grace Bible Church when he heard the fire truck and pickup truck collide. "As it was coming down the street there was this explosion," Rood said. "It was almost like an earthquake. It rumbled so bad." Rood ran to help the firefighters in the truck, which was flipped on its side in the school yard of Bennett Academy. "They didn't know what happened," Rood said. "They were really concerned about the people in the other car. The driver got out and said, 'The guy just jumped out at me from nowhere and I tried to avoid him.' We helped them and prayed with them," Rood said. Bethany Home Road was closed for several hours from 27th Avenue to 31st Avenue while crews worked to clear the scene. 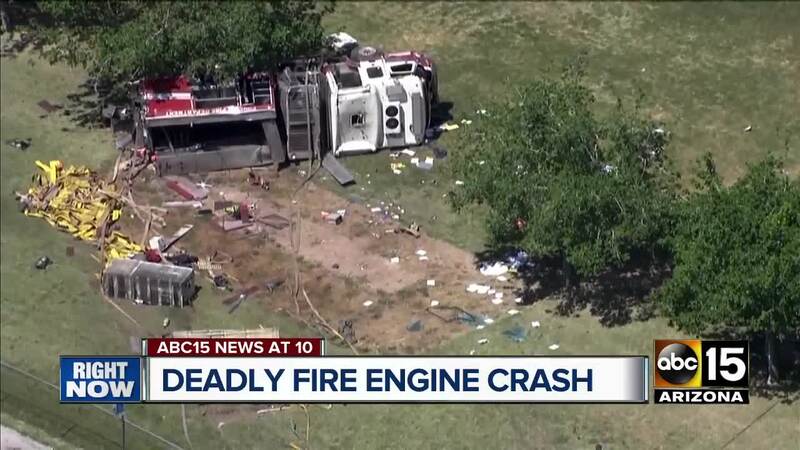 Authorities say the fire engine was responding to an emergency call at the time of the crash, but no other details were immediately released.